Enjoy the best inspirational, motivational, positive, funny and famous quotes by Anne Ortlund. Use words and picture quotations to push forward and inspire you keep going in life! But remember, for all your adult life you'll be a woman. And how you live your life as a woman, all by yourself before God, is what makes the real you. Nothing on the exterior can touch or change that precious inner sanctuary -- your heart, His dwelling place -- unless you let it. 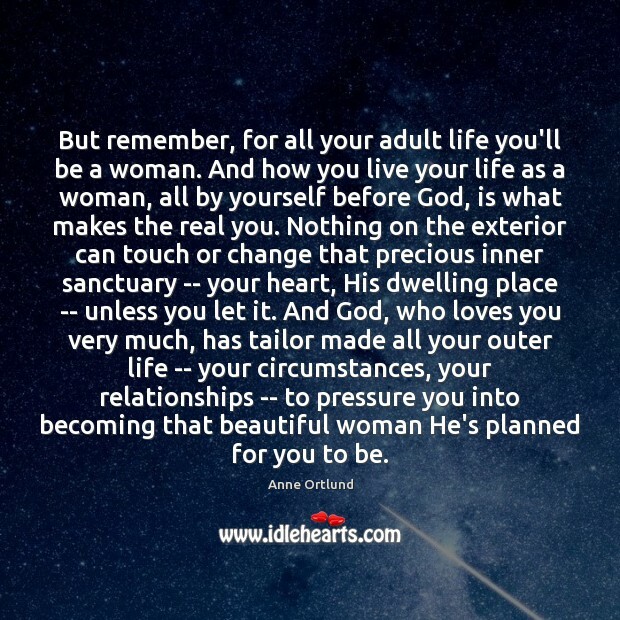 And God, who loves you very much, has tailor made all your outer life -- your circumstances, your relationships -- to pressure you into becoming that beautiful woman He's planned for you to be. 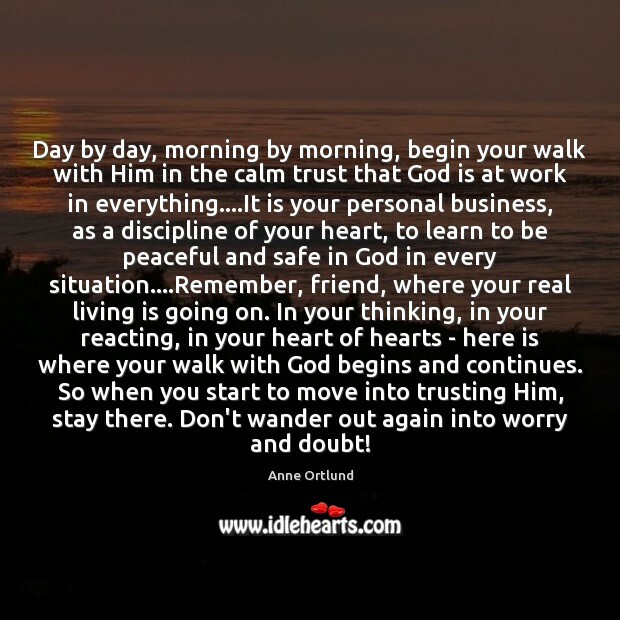 Day by day, morning by morning, begin your walk with Him in the calm trust that God is at work in everything....It is your personal business, as a discipline of your heart, to learn to be peaceful and safe in God in every situation....Remember, friend, where your real living is going on. In your thinking, in your reacting, in your heart of hearts - here is where your walk with God begins and continues. So when you start to move into trusting Him, stay there. Don't wander out again into worry and doubt! 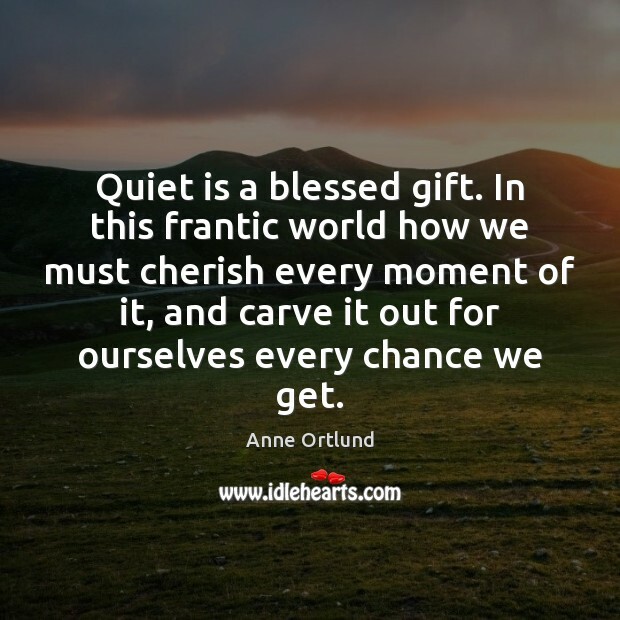 Quiet is a blessed gift. In this frantic world how we must cherish every moment of it, and carve it out for ourselves every chance we get. Lift up your eyes. The heavenly Father waits to bless you - in inconceivable ways to make your life what you never dreamed it could be. 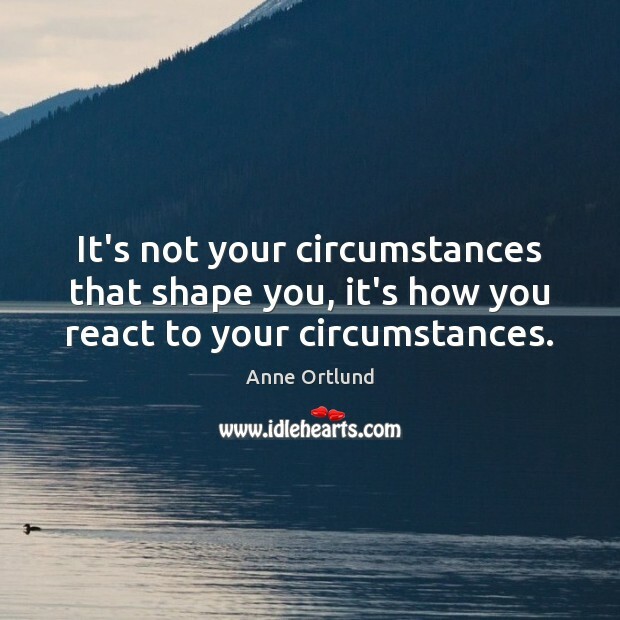 It's not your circumstances that shape you, it's how you react to your circumstances.